I have to admit that I often select wines based on the label. 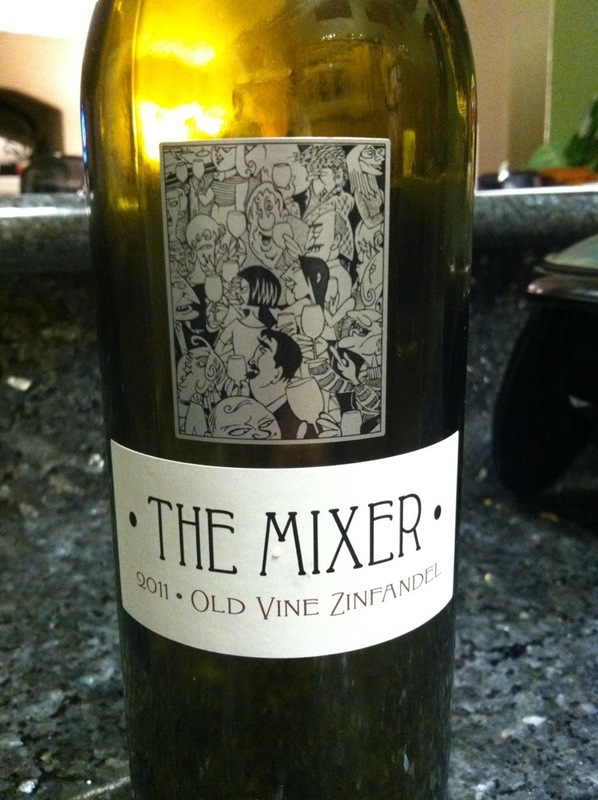 The Mixer 2011 Old Vine Zin is no exception. I was intrigued by the picture on the label and the price was excellent, $6.99! I have done an extensive internet search on The Mixer and found very little information. This is a California OVZ (old vine zinfandel) and is currently sold exclusively at Raley’s, Bel-Air, and Nob Hill grocery stores. I also learned that The Mixer has several red varieties that won medals at the California State Fair in 2012. The bottom line: this is a great zin! The taste, price, and label are awesome! Next time you go to Raley’s pick up a bottle of The Mixer Old Vine Zinfandel.